What's the Frontify cover page, and how do I make use of it? Activating your cover page is done within minutes. But no worries; initially, it will not be visible to the public. Adding the cover page to your Style Guide is an easy way to kickstart your brand communication across multiple channels, highlighting the most significant intersections of your brand, through a custom-made impression. 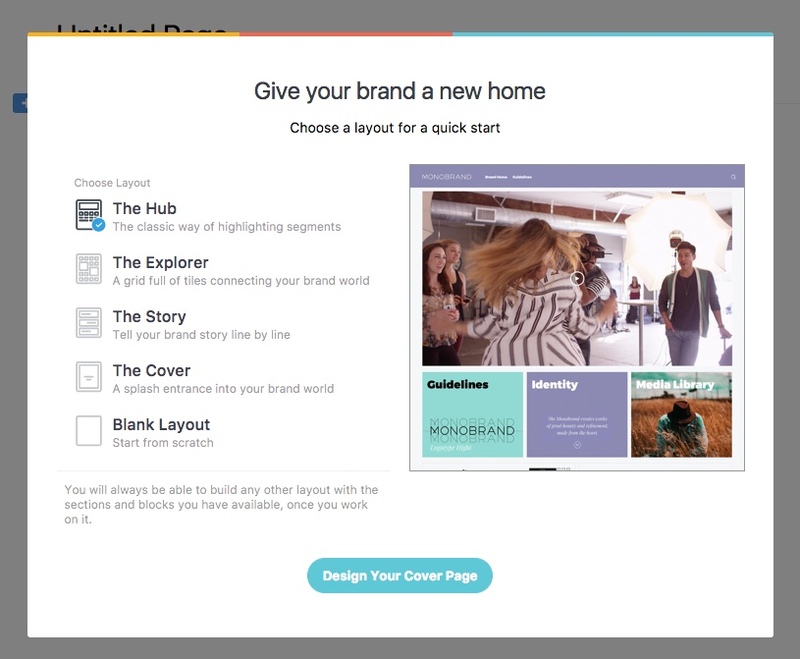 As an editor, navigate to the Style Guide, where you want to add your cover page – transforming it into a fully fledged portal to your brand world. Once you're in the edit mode, you'll see the option at the top of your screen, in the main navigation ('Activate Cover Page). Don't worry, even though you activate your cover page, it's not yet published, which means that it's only visible to editors. Choose a layout to quick-start. No matter which layout you choose, you will always be able to build any other layout with the sections and blocks you have available, once you work on it. Choose one of the layouts, or start from scratch. 2. Build and customize your cover page. Building your cover page is pretty straightforward. However, there are two articles that can inspire you with some examples. As soon as you are done with your cover page, you can publish it with one click. Enter the edit mode and you'll find an information bar, at the top of your screen, where you can activate your cover page. If you want to unpublish your current cover page, you will find the information in the same spot.